↑ "Chhatrapati Shivaji Terminus". World Heritage: Unesco.org. http://whc.unesco.org/en/list/945। আহৰণ কৰা হৈছে: 2010-11-06. 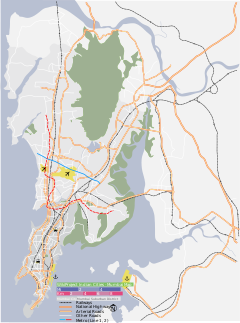 ↑ "Chhatrapati Shivaji Terminus" (pdf). Unesco. http://whc.unesco.org/archive/advisory_body_evaluation/945rev.pdf। আহৰণ কৰা হৈছে: 2010-11-06.